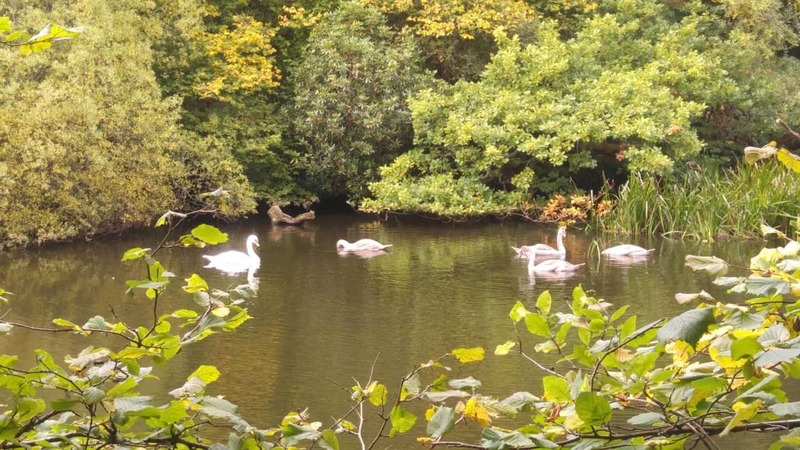 Pressmennan Wood is a gorgeous woodland area in rural East Lothian that runs alongside a lake and offers quiet walks along several peaceful paths, with views towards the Firth of Forth and across the rolling East Lothian countryside. 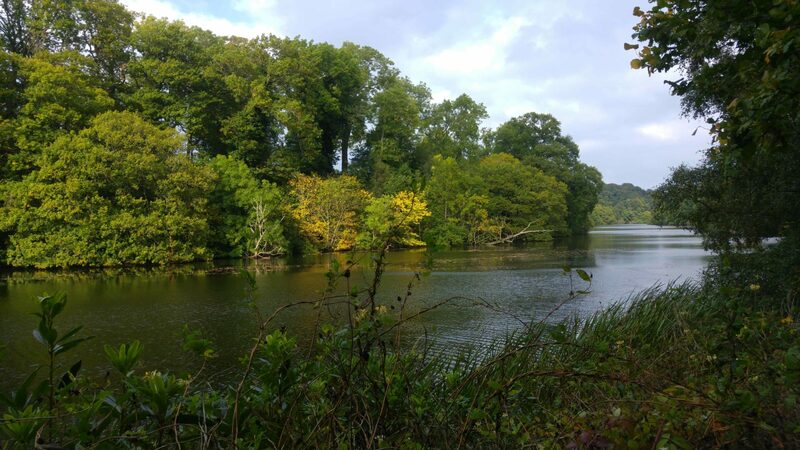 Comprised of 210 acres of ancient woodland, the woods are home to some of Scotland’s most ancient oak trees as well as huge conifers that provide shelter to a wide range of birds, squirrels, and insects. These woodlands are a bit of a hidden gem in East Lothian and they’re well worth visiting if you’ve got bored kids itching to get outside and play. The paths are well maintained and the woodland is a great place to walk – so if you’ve got a dog don’t forget to bring him/her along for the ride as well. The site is nestled on a small hillside which gradually rises up to one side and three paths are laid out for you to explore. There’s a map at the entrance so you’d be well advised to take a look and get your bearings before you head off. At the bottom of the hillside, facing north, is Pressmennan Lake, one of only three lakes (not a loch) in the whole of Scotland. Here you can find many species of wildfowl and there is often a family of swans serenely swimming amongst the reeds. 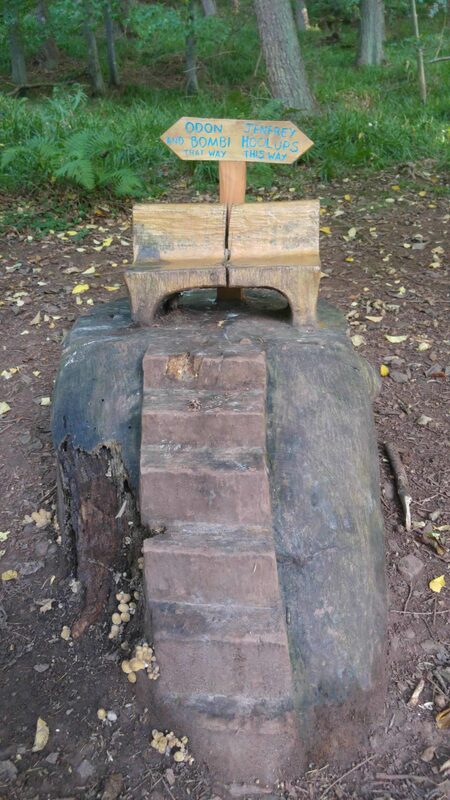 Children will love the Sculpture Trail, a winding circular route that leads them through the woods in search of Glingbobs and Tooflits, small woodland fantasy creatures that live in wee houses built inside dead trees. 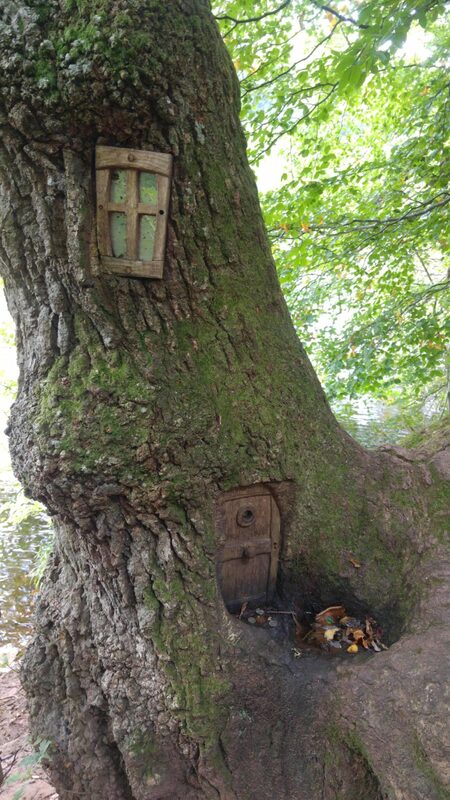 If you look closely you might even find the homes of Odon Poolittle, Bombi Noffnuff and Jenfrey Hoolups, so if you find an open door please be kind and leave a few pennies for them inside! The woodland has been managed by the Woodland Trust since 1988 and they’ve built a small car park and also installed a couple of picnic benches, although there’s a lack of bins so please remember to take your rubbish home with you. 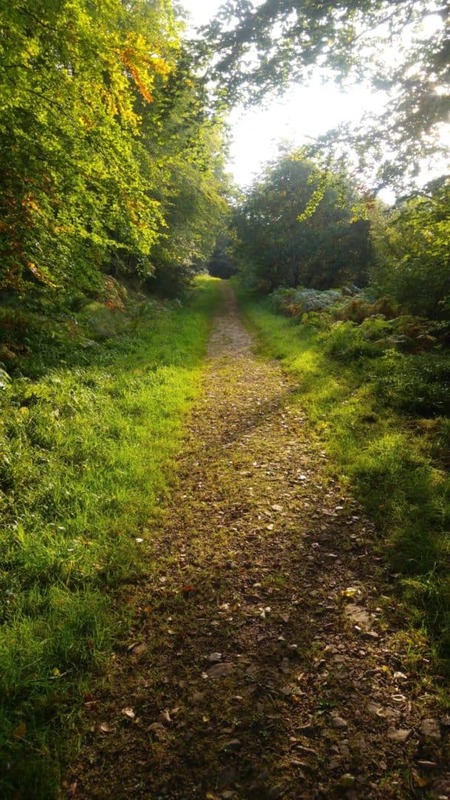 Be advised that although the paths are well maintained they can get very muddy in places, especially near the lake, so the route might not be accessible to wheelchair users. All in all, Pressmennan Wood is a lovely place to take a walk so if you’re in this part of East Lothian I highly recommend you visit it. The woods were used for hundreds of years as a source of oak for building ships at Leith docks in Edinburgh, and in fact records show that this was the case from the 15th century right through to the 18th century, and not only was the wood used for ships, but the bark was also used in the leather tanning industries of the time. The Victorian era saw much of the woodland planted with invasive Rhododendrons, although the Forestry Commission began replanting the woods with native trees when they took ownership in 1955. 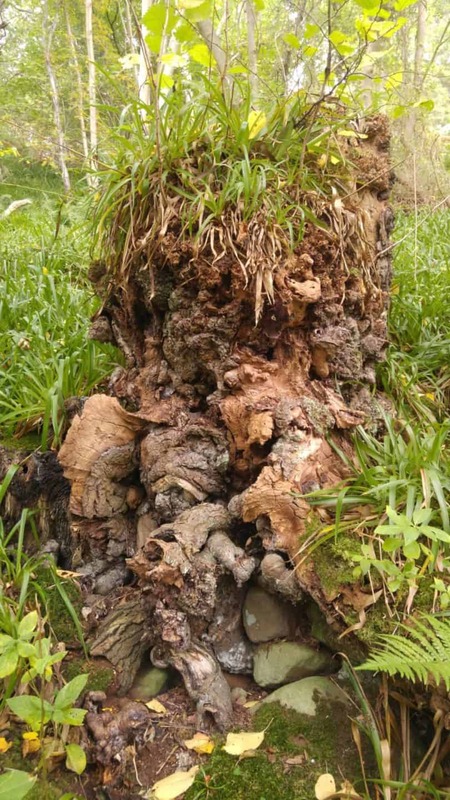 The Woodland Trust has continued this process of replanting and managing the woods ever since they took ownership in 1988. From Edinburgh head east on the A1 and continue over two roundabouts, through East Linton. At the third roundabout take the fourth exit onto the B6370. Continue onto Stenton Loan. Pressmennan Wood lies roughly 1 mile south of the village of Stenton. There is a Brown Tourist Sign for the wood on the unclassified road ‘Stenton Loan’ just south of Ruchlaw West Mains farm. Pressmennan Wood is managed by the Woodland Trust and is free to enter. The woods are open all year round.